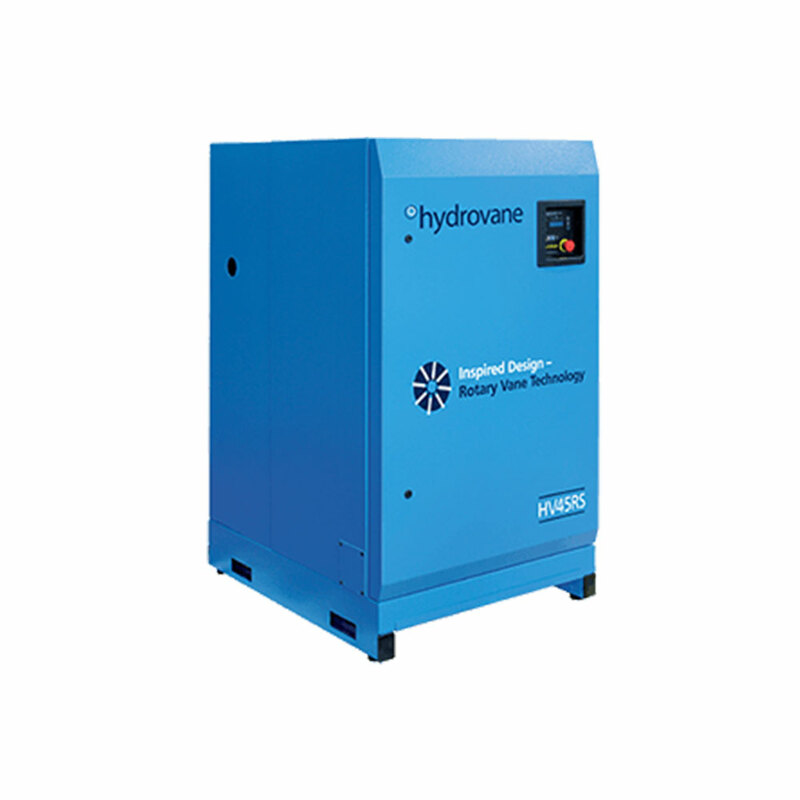 Hydrovane HV 30 - 45 series is enclosed for quiet operation, and with a small footprint and low noise levels these compressors can be conveniently located at the point of use. this control system ensures reliable operation and protects your invesment by continuously monitoring the parameters of the compressor. 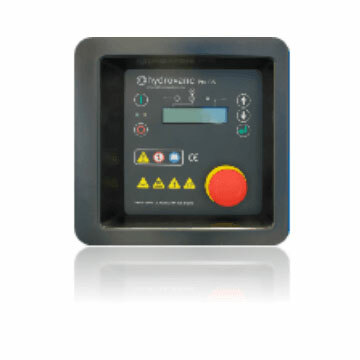 The Hydrovane Pro also has the capability to have programmable inputs and outputs for increased control of anciliary equipment. 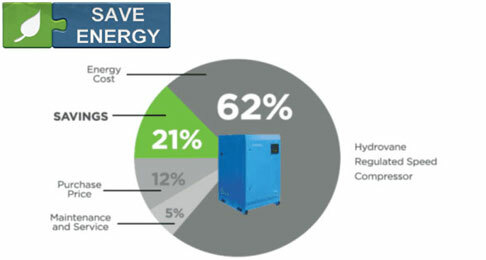 Slow Speed, 1450 - 1760 rpm (model dependent) speed operation results in low noise, low stresses and long life.